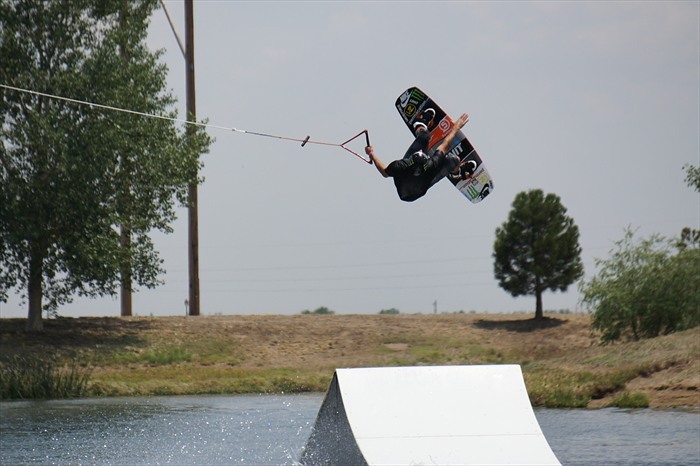 Mile High Wakeboarding offers several wakeboard camp options to fit your needs, and our wakeboard school has some of the best wakeboard coaches in the industry! 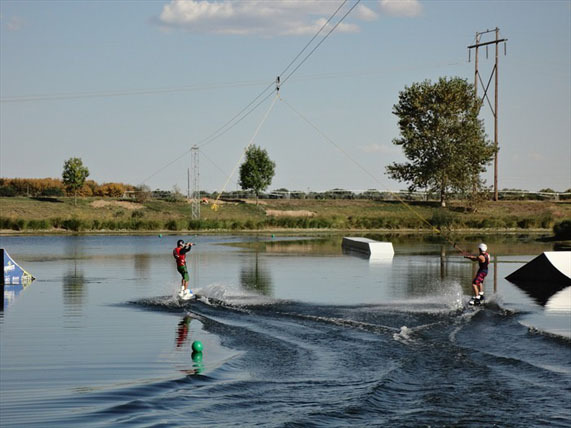 Whether you are looking for a summer camp in Denver for your soon to be shredders, or the ultimate wakeboard training experience, or something in between, we have created several different summer camp and wakeboard camp options, just for you! With students of all ages and abilities, all you need is a willing attitude and a swimsuit, and we’ll handle the rest. 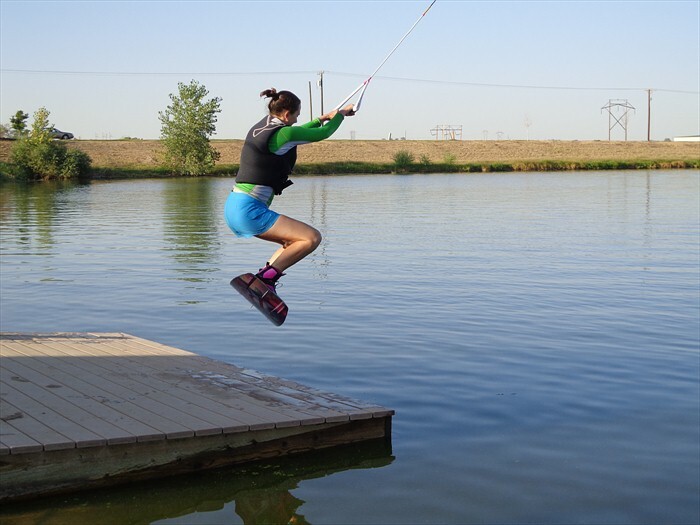 Our youth summer camps are hosted at our private cable park, and we provide a variety of exhilarating activities for campers on and off the water. 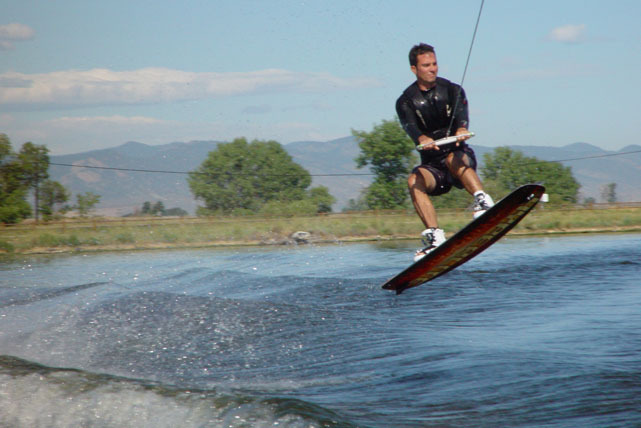 On the water, most campers will want to take advantage of our incredible wakeboard coaches and nearly perfect water conditions, and usually want to wakeboard until their arms nearly fall off. 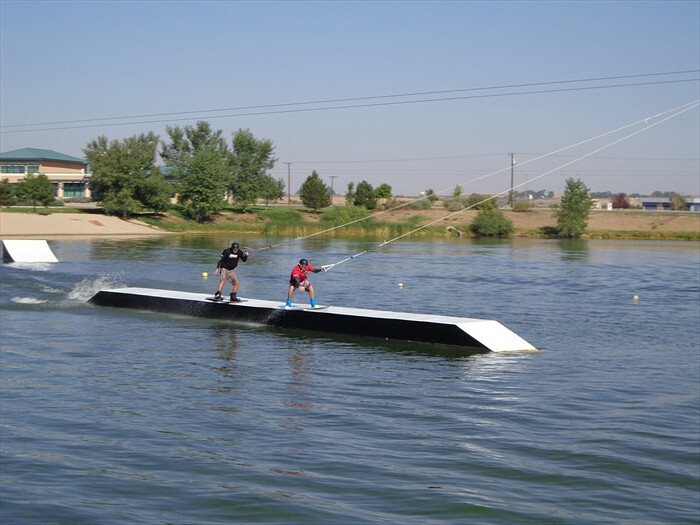 However, in between coaching sessions, many campers will also want to play on our HUGE floating playground (called an aqua park – currently, the only one in Colorado). Complete with multiple slides, trampolines, climbing towers, and launch pads, it’s a blast …..literally and figuratively. If they ever do come off the water, there is plenty of shade, beach games, snacks, and other entertainment to keep even the shortest attention span excited and engaged. Our Ninja course and climbing/rappelling wall is also a big hit with the 12+ crowd. Not only are our summer camps in Denver a great value, they are exactly what you would have wanted in a summer camp when you were their age! No matter what level your soon to be shredder is currently at, they are sure to experience the best summer camp in Colorado! In the event of poor weather, we have plenty of covered activities to keep things fun, dry, and entertaining. Bring a swimsuit, any special food, sunblock, and a towel, and we’ll cover everything else. It’s entirely optional, but on the last day of camp, we encourage one or both parents to show up and participate in camp. This involves watching your little guys and gals show you their new wakeboard skills, or perhaps even trying a little wakeboarding yourself. (Riding doubles is quite the hit.) We also have a very popular “blast off” contest and scavenger hunt involving clues based on what the students learned in camp that week. The camp usually ends with pizza and a slide show of that week’s camp pictures. Normal drop off time is 8:30am and normal pick up time is 4:30pm but hey, we get it, you’re busy. If you have a special situation, or need a different drop off and/or pick up time, just let us know and we’ll do our best to accommodate your needs. Our private lakes are North of Denver so we are also happy to help coordinate carpooling and arrange bus transportation from select pickup locations. NOTE THAT EVERY SINGLE SUMMER CAMP WE OFFER WILL SELL OUT. THIS IS BY FAR, OUR MOST POPULAR ACTIVITY. WE DO KEEP A WAITLIST FOR EACH CAMP AS THEY SELL OUT, BUT RARLEY DO WE HAVE A CANCELLATION. TO AVOID DISSAPOINTMENT, PLAN AHEAD. WE RELEASE CAMP DATES AROUND JANUARY 1 EACH YEAR. 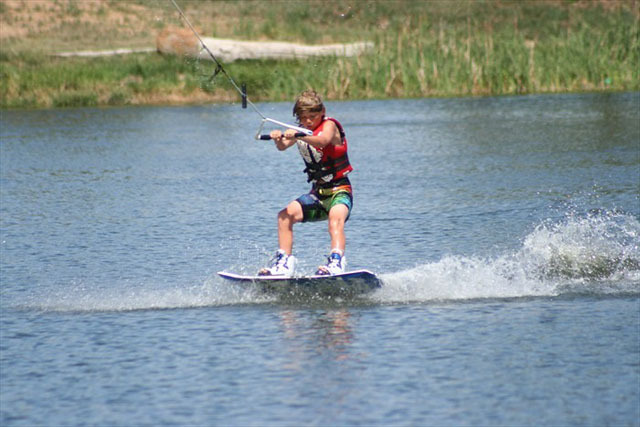 Our family wakeboard camps are hosted at our private cable park and are most likely the first wakeboard camp of it’s kind. 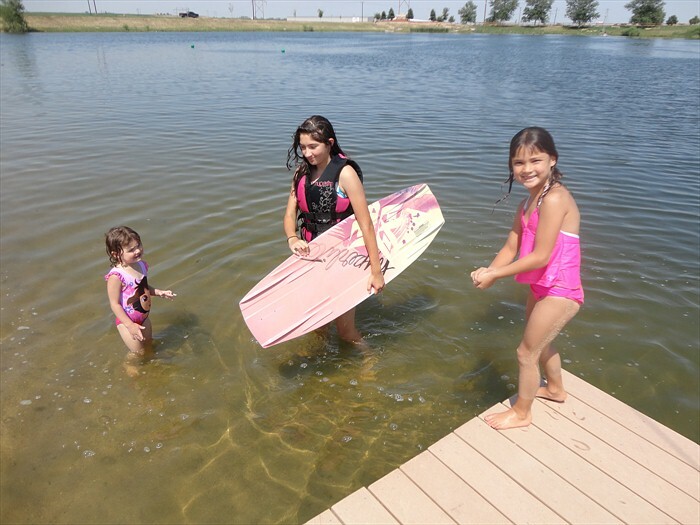 It’s certainly the first wakeboard camp that allows mom* to participate for free. 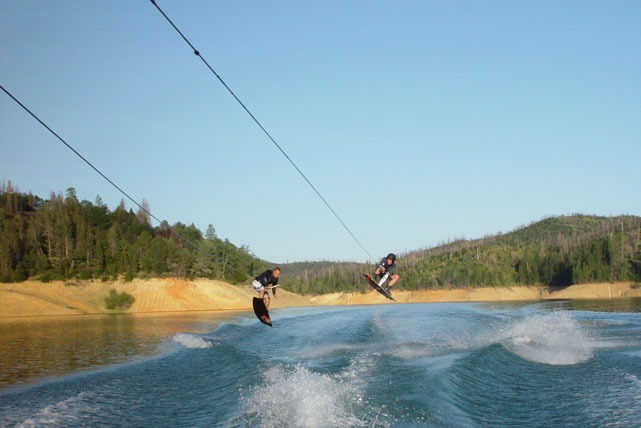 We couldn’t think of a better or less stressful way for the whole family or extended family to spend a weekend or holiday at the lake, relaxing on the beach, learning from the best wakeboard instructors, and spending time together doing something they enjoy. And the “boat driver” dad can also enjoy a weekend off! 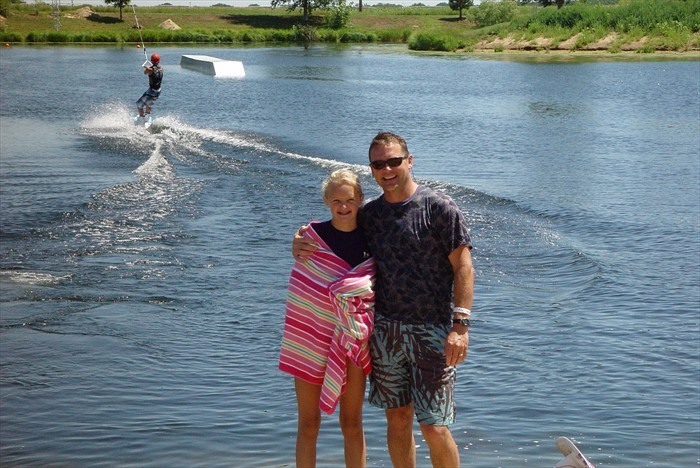 In addition to feeling like you have your own private lake with perfect water, the family wakeboard camp has all of the same great instruction and fun you’ve come to know from our other wakeboard camps. And when the sun goes down, we have plenty of marshmallows to go around the fire, and night riding is not unheard of. 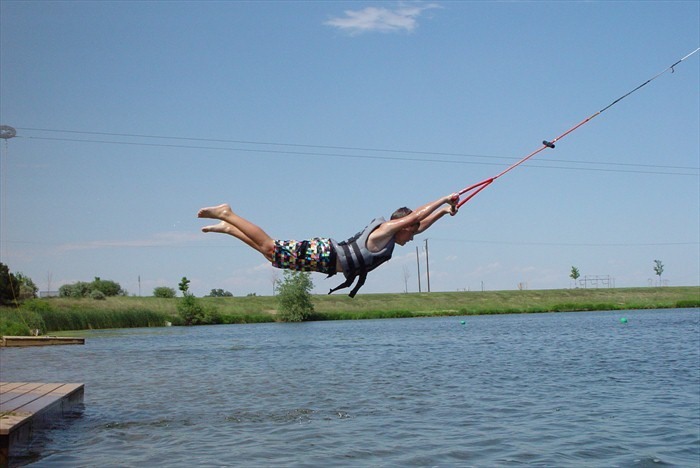 Wakeboard camp doesn’t officially start until Saturday morning, but if you would like to bring a tent or the RV and stay with the instructors onsite, Friday and Saturday night, we’ll make it happen with advanced planning. If your bucket list includes mom learning how to ride switch or dad getting to ride doubles with another family member, or wakeboarding at night, this is the best opportunity to have one of the most memorable family weekends of the entire summer. Are you ready for the ultimate wakeboarding training week of your life? 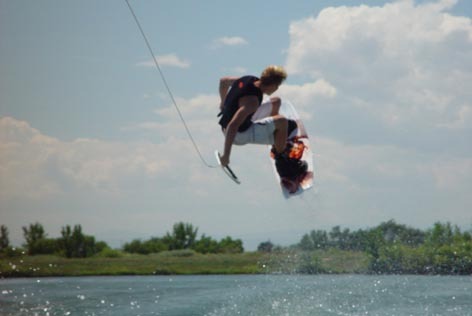 Our ultimate wakeboard camp in Colorado in is exactly what it sounds like. With a maximum of 3 students for the entire week, this is probably the best wakeboard camp on the planet. It provides you with the perfect amount of rest in between riding sessions, yet maximizes every moment of wakeboarding you can muster into a week. 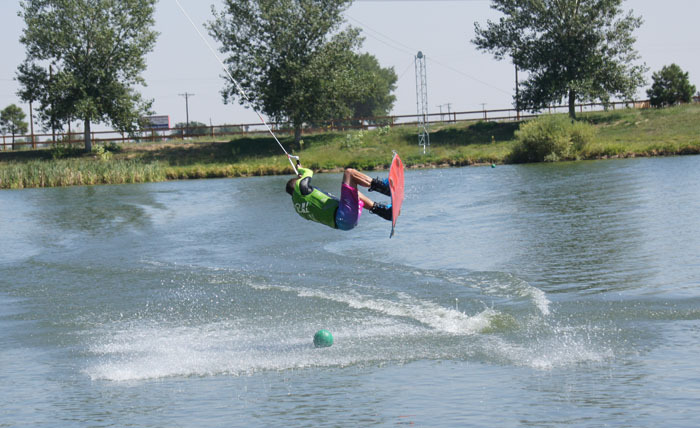 This wakeboard camp is the highlight of our wakeboard school, and is tailored more towards the student that has completed one of our cable camps and/or has the basic fundamentals mastered, and really wants to focus on leap-frogging their wakeboard skills to that next level. With a combination of boat, cable, land, and video training, this popular wakeboard camp will be the one week that you will remember that set you apart from the rider you used to be. 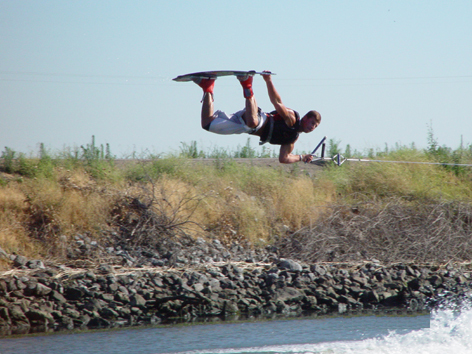 This camp starts at jumping the wake and is instructed exclusively by our head wakeboard coach, Steve Jones. 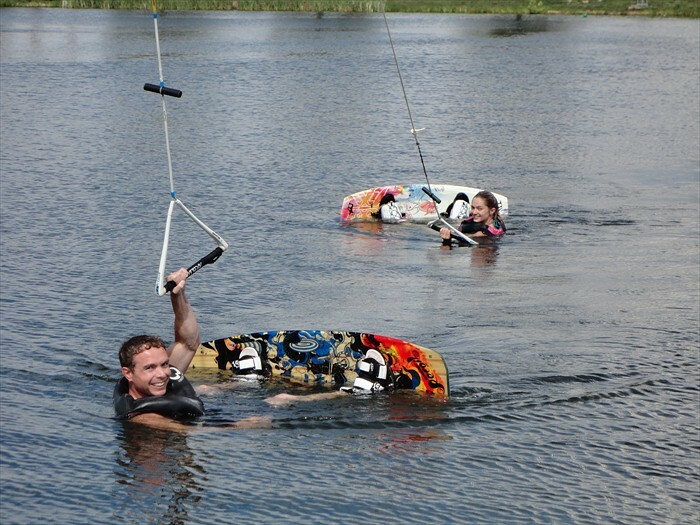 It is not required, but it is recommended that riders be in fairly good physical shape for this wakeboard camp. You should be able to perform semi-rigorous activities for up to an hour at a time. 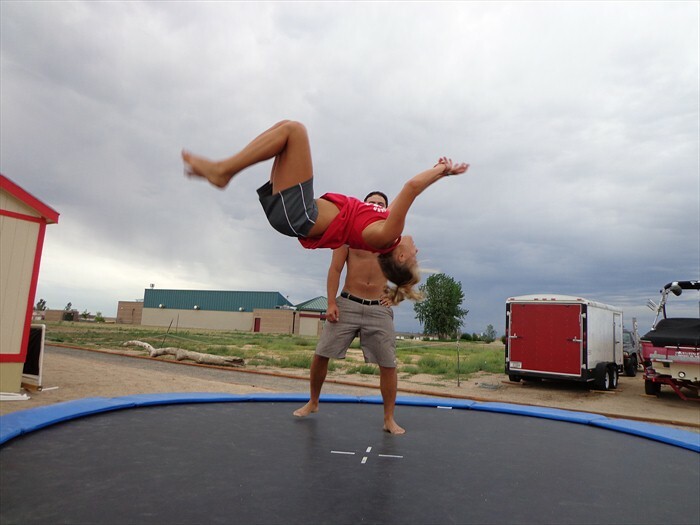 Prior to wakeboard camp, a one-month program of doing cardio for 45 minutes or more, 5 days per week, (and hopefully some wakeboarding and/or trampoline work) will be sufficient to make the most of your time spent at wakeboard camp. If you are local, a few sessions on the cable or out on the boat will also help prepare you so you are not sore on day three. Why do the kids get to have all the fun? 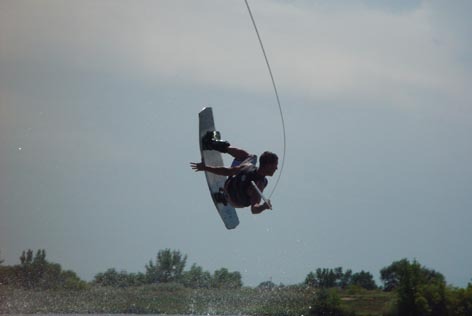 Wakeboard camp is certainly not just for the kids so come spend a weekend with us doing what you love! Come learn, have fun, hang with the MHW crew, and get your ride on! 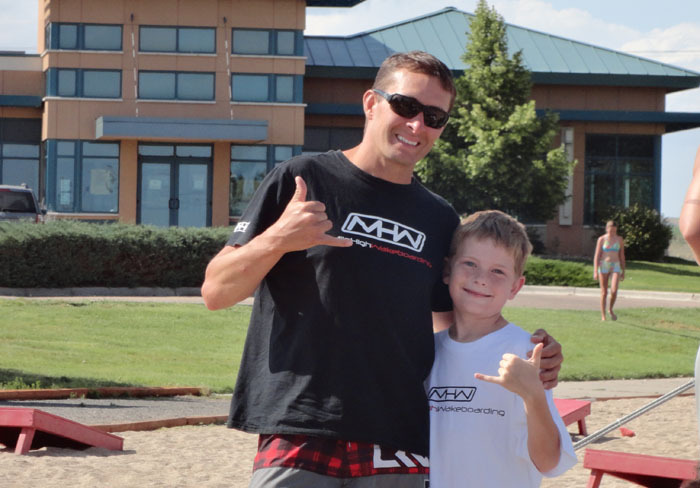 MHW adult wakeboard camps were created specifically for those of us that have a normal job and need to work Monday – Friday. Hosted at our private cable park over a weekend, and with a maximum of 8 students, you’ll be able to ride as much as you can handle in two days. In between sets we have several beach games and floating toys that even the adults will have a blast on, and when the sun goes down, we have fire pits on the beach and night riding opportunities you can’t get anywhere else! If you haven’t ridden a cable before, don’t let that scare you off. It’s the absolute best way to learn for first-time wakeboarders, and it’s a fast learning curve (about 2 sets) for experienced riders. 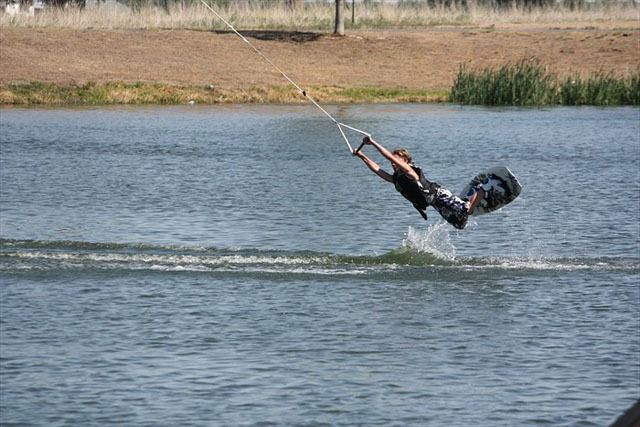 There is no better or safer way to learn a few of those wakeboard tricks you probably been thinking about. At slow speeds, the cable removes the fear and hesitation that you normally have when riding the boat, and instead, allows you focus on the actual trick without that paralyzing fear of getting spanked if things go wrong. Add the trampoline and the some of the best wakeboard coaches in the industry, and you’ll be acting like you’re 16 again in no time. Whether you want to start at the very beginning learning the basics, or work on your first jumps, inverts, and spins, or learn how to hit a slider, rail, kicker, or fun box, the training is specifically tailored to each individual, at any skill level and any age. If you can already jump the wake on the boat consistently, chances are, you can have your first invert on the cable by the end of a weekend – ready to take back to the boat! Don’t believe us? 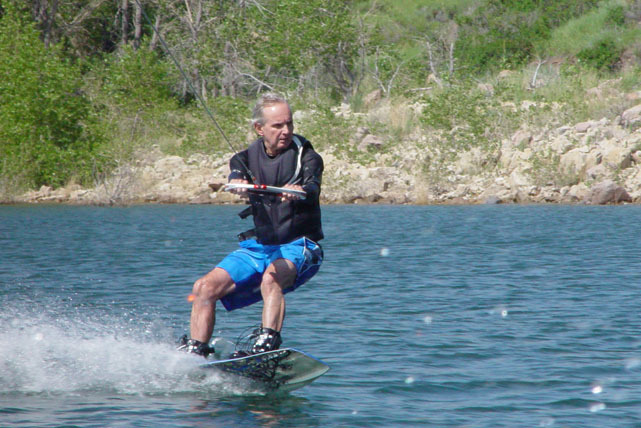 We are willing to bet you the cost of your wakeboard camp to prove us wrong. 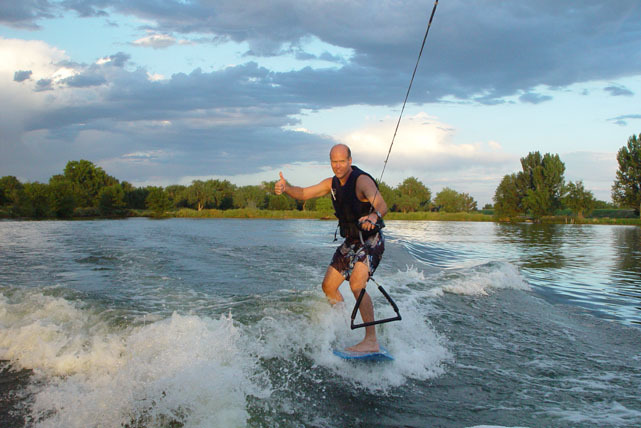 Wakeboard camp doesn’t officially start until Saturday morning, but if you would like to bring a tent or an RV and stay with the instructors onsite, Friday and Saturday night, we’ll make it happen with advanced planning. 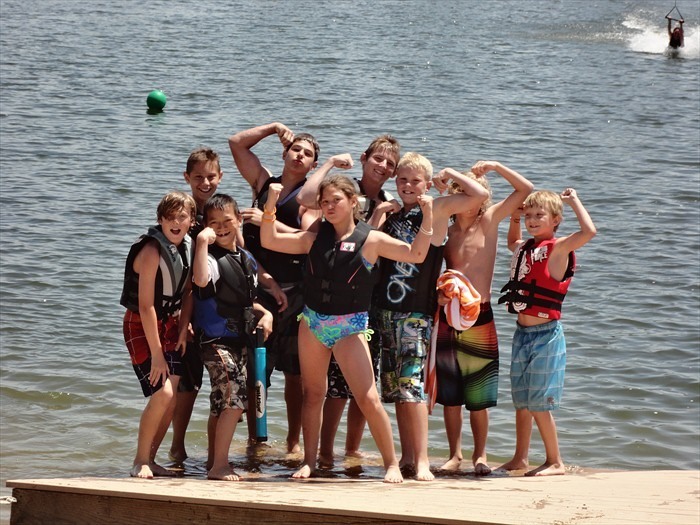 For those of you that may want to attend wakeboard camp with your children under 21, see our Family Wakeboard Summer Camp option. 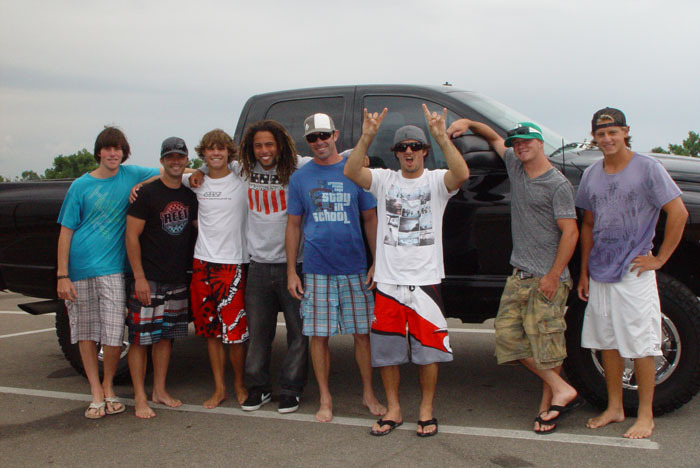 Wakeboard camp doesn’t officially start until Saturday morning, but if you would like to bring a tent or an RV and stay with the instructors onsite, Friday and Saturday night, we’ll make it happen with advanced planning. We are there 24 hours a day in the summer.